Any form of energy, when not properly controlled or harnessed, can result in serious danger to those who use it. The risks inherent with electric power can generally be divided into two categories: direct and indirect. The direct danger is the damage that the power itself can do to the human body, such as stoppage of breathing or regular heartbeats, or burns. The indirect dangers of electricity include the damages that can result to the human body as a result of something caused by electric shock, such as a fall, an explosion, or a fire. Electricity at any voltage can be dangerous and should always be approached with caution. An electric shock can occur upon contact of a human or animal body with any source of voltage high enough to cause sufficient current flow through the muscles or nerves. The minimum current a human can feel is thought to be about 1 milliampere (mA). As little as 80 milliampere, can seize the heart muscle. The current may cause tissue damage or heart fibrillation if it is sufficiently high. A fatal electric shock is referred to as electrocution. Dangers of Electricity include physical burns. High-voltage (> 500 to 1000 V) shocks tend to cause internal burns due to the large energy (which is proportional to the duration multiplied by the square of the voltage) available from the source. Damage due to current is through tissue heating. In some cases 16 volts might be fatal to a human being when the electricity passes through organs such as the heart. Other Dangers of Electricity cause interference with nervous control, especially over the heart and lungs. Repeated or severe electric shock which does not lead to death has been shown to cause neuropathy. When the current path is through the head, it appears that, with sufficient current, loss of consciousness almost always occurs swiftly. Arc flash and arc blast will always be present on the job, but proper awareness, training and the development of arc flash safety personal protection strategies can minimize the likelihood of injury and fatality. The leading standard governing the calculation and determination of explosive hazard is the NFPA 70E - Electrical Safety in the Workplace. 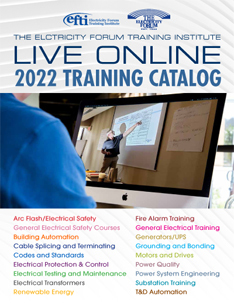 This electrical safety standard covers the full range of electrical safety issues from work practices to maintenance, special equipment requirements, and installation. In fact, OSHA in the United States already bases its electrical safety mandates on the comprehensive information in this important Standard. Electrical safety is the leading subject in the North American power industry. Electrical accidents, when they occur (and they occur every day) are extremely debilitating and often fatal, depending on the voltage and amperage involved, as well as the conditions of electrocution. As little as 80 ,illiamps of electricity is enough energy to put the human heart into defibrillation and death. So, this subject should be addressed with commitment from electrical workers and their management.